Love them or hate them, this is the wave that revitalized Star Wars collecting. We’ve updated all 9 figures from The Power of the Force [Red] wave 1 in our Visual Guides. You can click each image below to check out the newly updated Visual Guides for each figure, and you can also check out reviews of all of these figures in our Research Droids Reviews database. ← FINAL HasLab Update! Ship Date Confirmed, Assembly Instructions Added! It’s time to add the POTF2 [Green/Freeze Frame] Gunner Stations to our Visual Guides. First up, let’s check out the Millennium Falcon With Luke Skywalker set. Click below for our full Visual Guide. Don’t forget to also check out our full review on this set right here. With the recent announcement of the Retro Collection, we thought now would be a great time to add the Visual Guide of Hasbro’s first attempt at bringing back Vintage figures. Click below to check out the 1995 Classic Edition 4-Pack from the POTF2 [Red] line, featuring Luke Skywalker, Darth Vader, Han Solo, and Chewbacca. We also have a full review of this set, with extended galleries, commentary, and full discussion right here in our review database. ← Check Out All Of The New Pre-orders At Entertainment Earth! The Power Of The Force “2” [Green/Freeze Frame] Gunner Station sets are alright. Let’s look at the Millennium Falcon With Luke Skywalker set. It’s the focus of our Research Droids Reviews today! Be sure to leave your thoughts in our comments section, vote in the poll or even comment about it on our Facebook page. Click the banner below for the direct link to the review! As always, you can also send your review requests via email if you’d like to see something that we didn’t cover yet. ← If You Missed Jabba's Rancor Pit On eBay, Amazon Can Help You Out! We’re opening another new Visual Guide tonight. 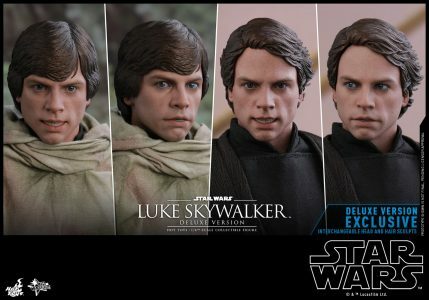 Check out our The Black Series Archive Visual Guide page, and then check out our first addition: Luke Skywalker. Click below for the full guide page. In case you missed out on our full review of this figure, you can check it out right here. It’s our final year of Research Droids Reviews! A new year means new figures! Let’s open up The Black Series Archive line and start off with Luke Skywalker. He looks good, but he isn’t perfect. Be sure to leave your thoughts in our comments section, vote in the poll or even comment about it on our Facebook page. Click the banner below for the direct link to the review! As always, you can also send your review requests via email if you’d like to see something that we didn’t cover yet. ← The New TVC Klaatu (Skiff Guard) In Action! Beautiful Shot! OK, let’s get this party started! The reviews are coming soon, but you can check out crisp images of The Black Series Archives wave 1 figures right now in our RDRs. Most importantly, we have comparison pictures for each figure so you can decide which version of the figure looks better. Here is a quick rundown: Luke Skywalker is better, but not perfect. For one reason or another, the photorealistic paint job looks amateur at best, almost as if it’s a trial run. He doesn’t come with a beautiful application like recent figures. Boba Fett is much-improved. They finally updated his chest armor to the correct color. Amen, Hasbro! Bossk is almost identical to his first issue. But it’s nice to see him again. In all honesty, IG-88 is a significant step backward. He’s still feather-light, has too many holes in his head (that don’t need to be carried forward in the action figure), and got a pretty bad paint job this time around. What’s up with all of that gold? The reviews are coming soon, but check out everything else right now. Hot Toys announced an all new Luke Skywalker (Endor) figure today. You can either get the standard or the deluxe version. 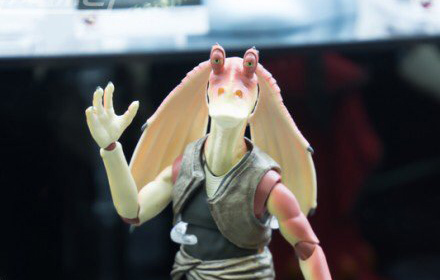 The deluxe version will exclusively include an additional head sculpt with an interchangeable all-new hair sculpture, an extra piece of interchangeable battle damaged right hand, dark grey tunic with belt, and the Tatooine sandstorm goggles and cloak as seen in the deleted scenes. Click either of the links to see lots of photos. ← Tamashii Nations C-3PO Movie Realization Figure Announced! 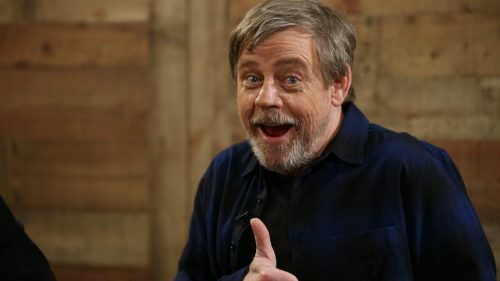 Mark Hamill received a question by a concerned Star Wars fan on Twitter who wanted to learn more about Luke’s motivations in The Last Jedi. And Mark Hamill, the kind man that he is, replied to the fan and gave him an answer. Click through for all the details! ← Are You Waiting For TVC Rey (Island Journey) And TVC Stormtrooper (Mimban)? Good Luck With That! It’s time to add the Amazon exclusive Red Squadron droid pack to our The Black Series [Phase III] Visual Guide. Click below to check out the full guide page. You can also read our complete review of this set in our review database right here. For some reason, this set has been a bear to find regularly in-stock on Amazon, but if you check frequently you can usually catch small quantities at a time a few times a day. 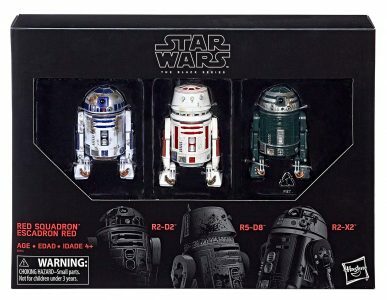 Let’s take a look at the Amazon exclusive Red Squadron (R2-D2/R5-D8/R2-X2) three-pack set. It’s partly nice and partly problematic. Learn more about the screen-inaccurate approaches taken on two-thirds of this set. It’s the focus in our Research Droids Reviews today! Be sure to leave your thoughts in our comments section, vote in the poll or even comment about it on our Facebook page. Click the banner below for the direct link to the review! As always, you can also send your review requests via email if you’d like to see something that we didn’t cover yet. Force Link 2.0 Wampa/Luke Skywalker Set IN STOCK! The Star Wars [The Last Jedi] Force Link 2.0 Wampa/Luke Skywalker set is IN STOCK on Amazon! UPDATE: Wow. SOLD OUT already.